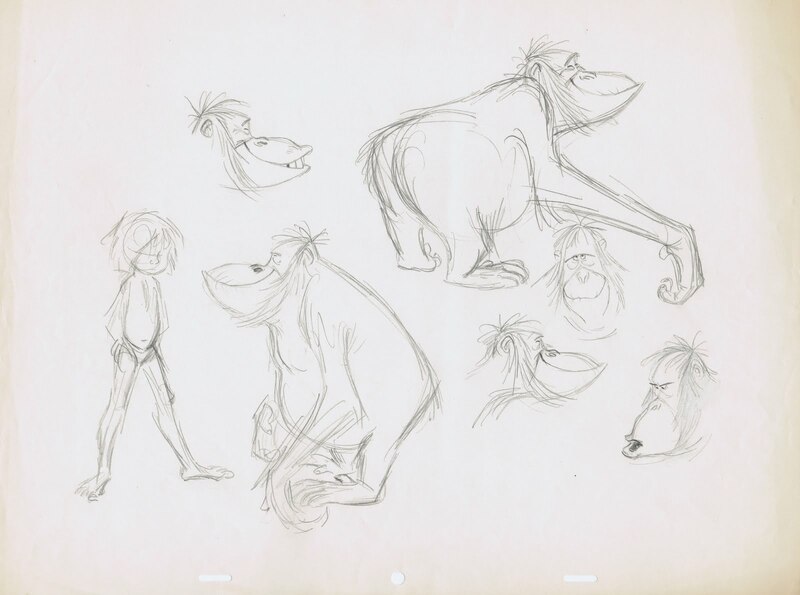 The Cast of "Jungle Book"
Here they are, the characters from "Jungle Book". 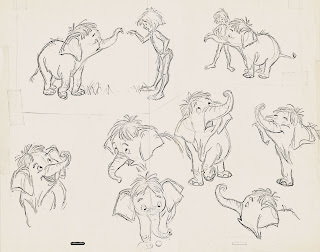 I can't tell you how much this movie means to me. 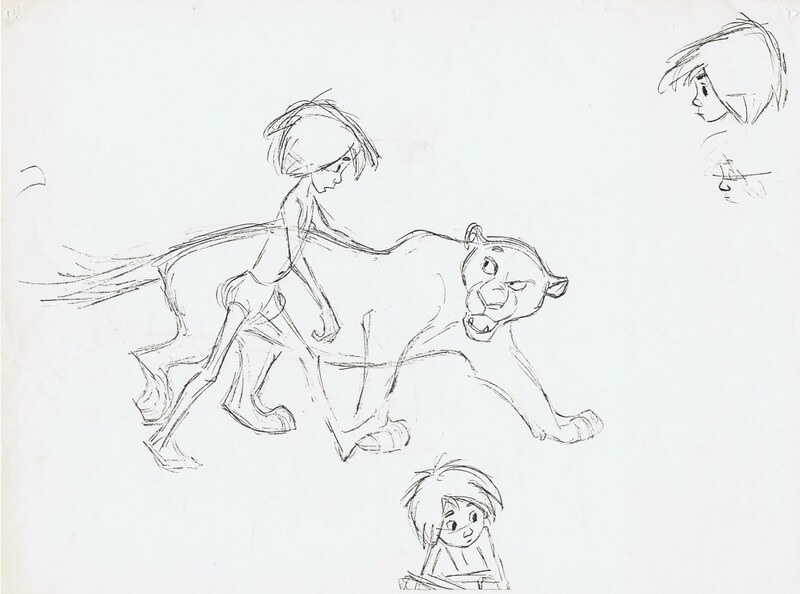 This was my first Disney animated film, I was about 11 years old when I saw it, and my life changed forever. 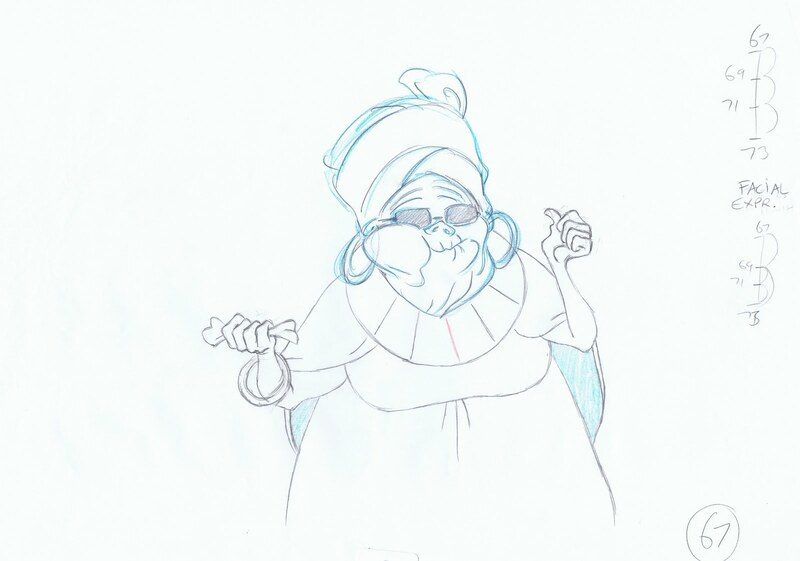 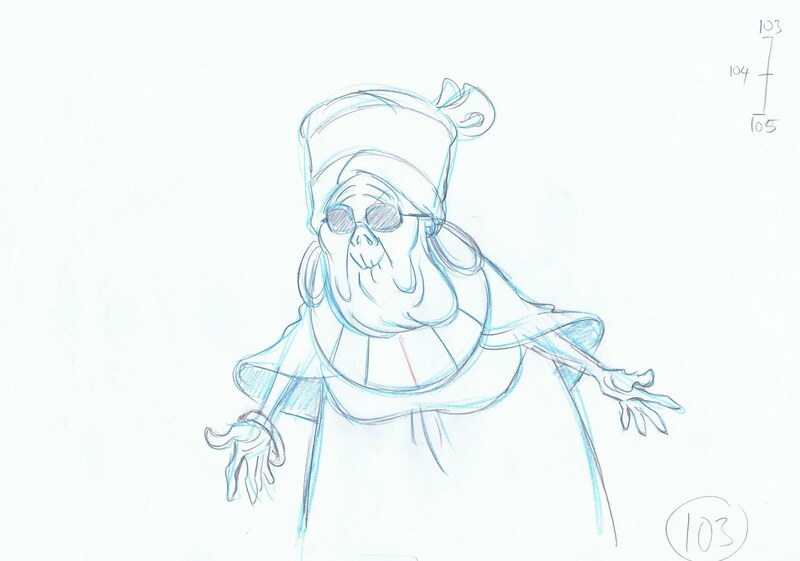 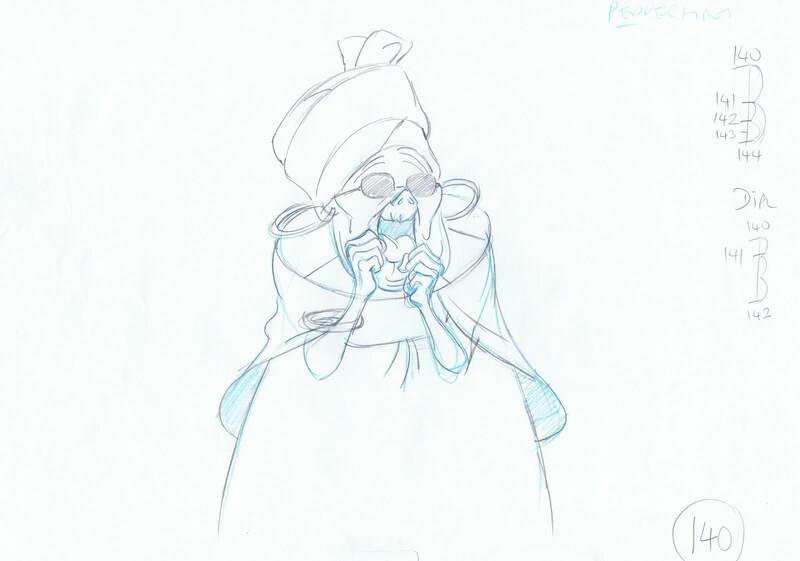 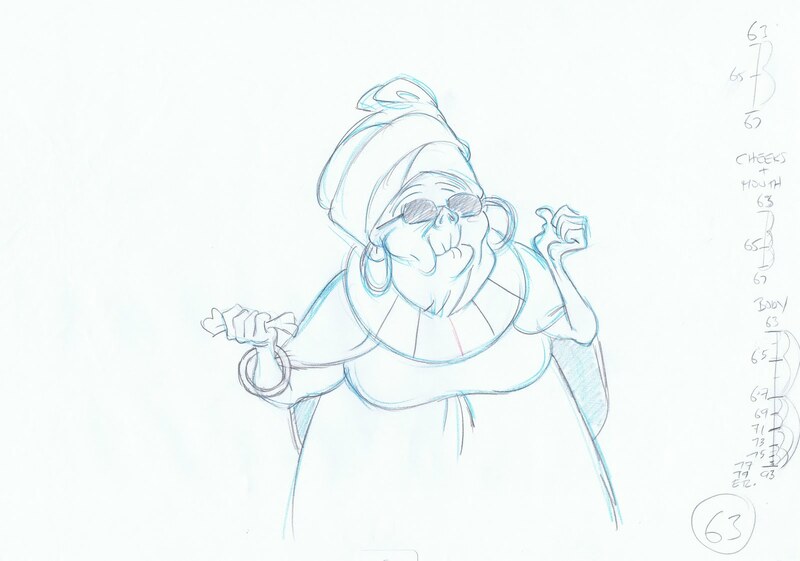 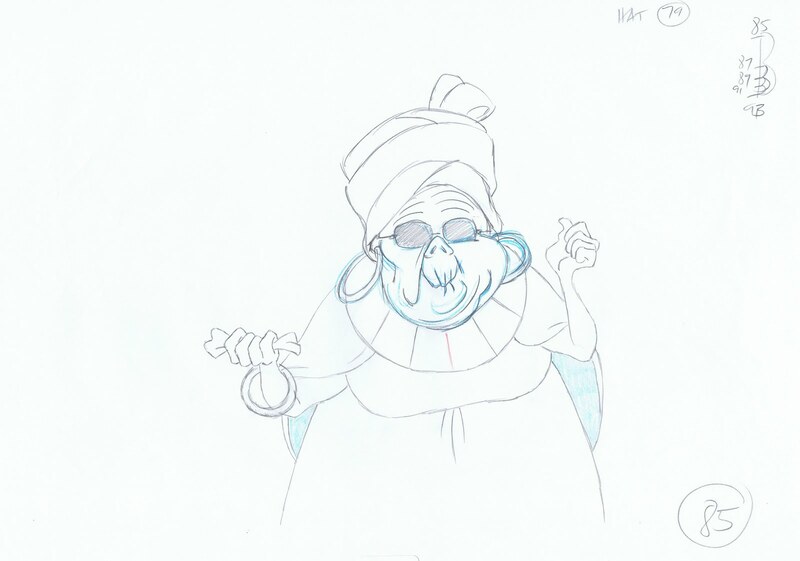 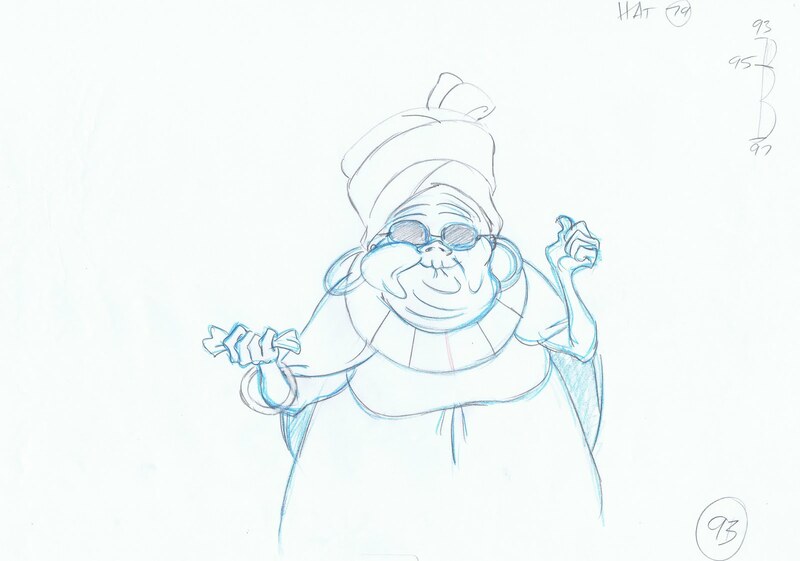 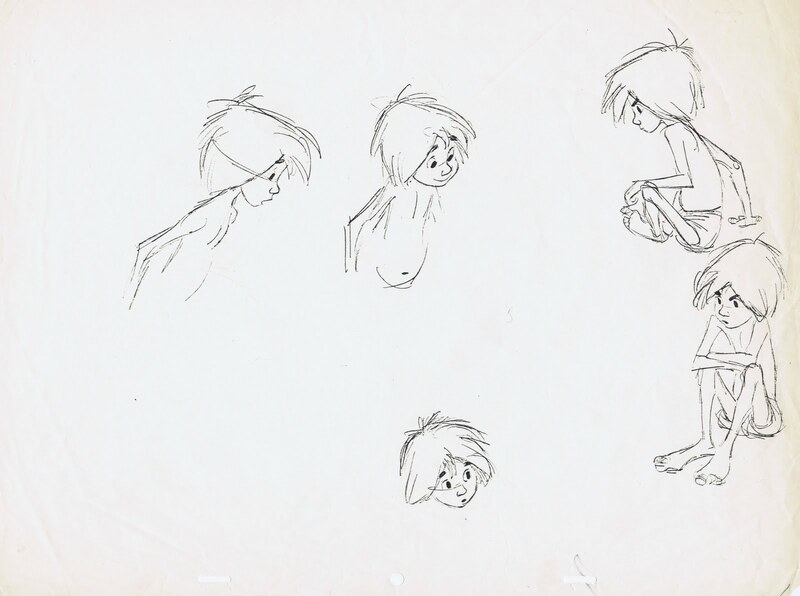 That's what I wanted to learn and do, Disney Animation. 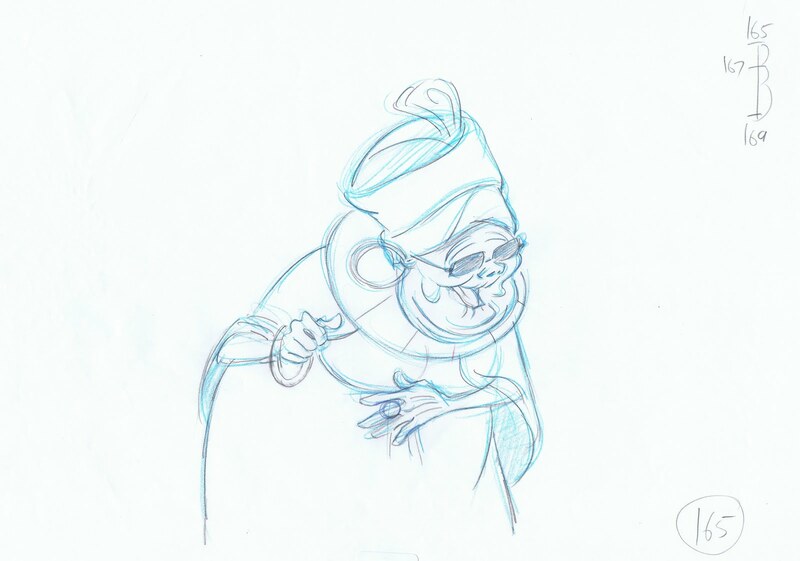 No way I was not going to pursue this, despite the fact that everybody thought I was nuts. 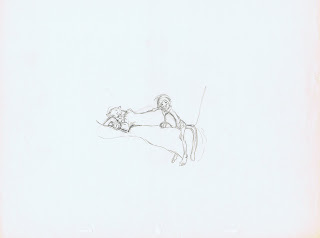 My parents sort of tolerated this "passion", didn't understand it though. School friends enjoyed my early drawing skills, but me wanting to go to America to draw cartoons for Disney.......sure you will! 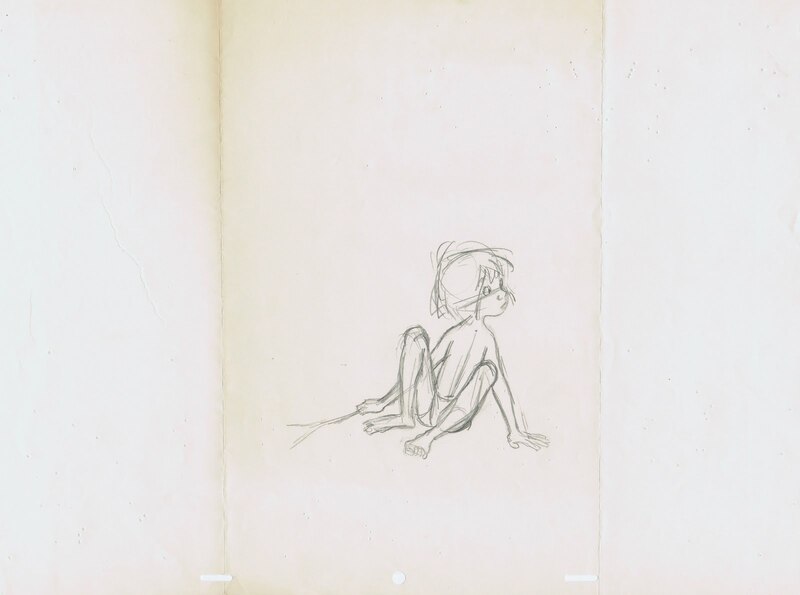 "Jungle Book" was and is huge in Europe, more so than in the US. 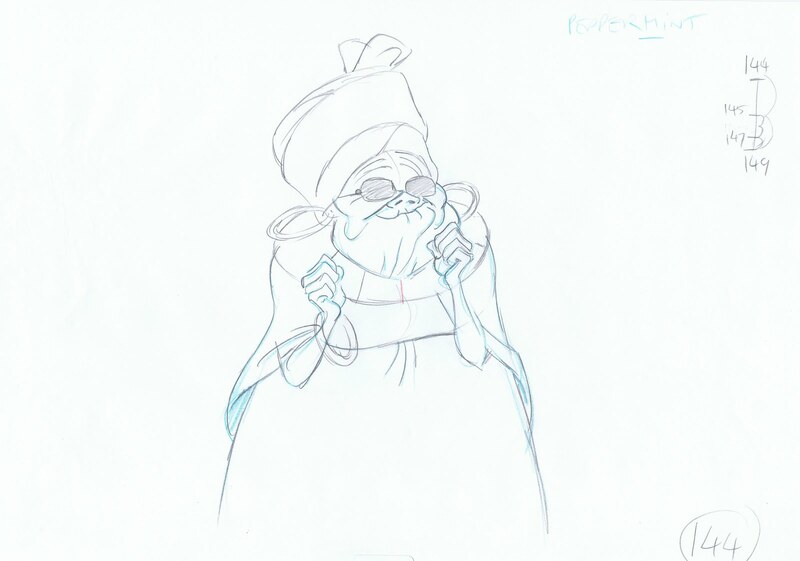 sentimentality shows up in more subtle ways than in other Disney films. 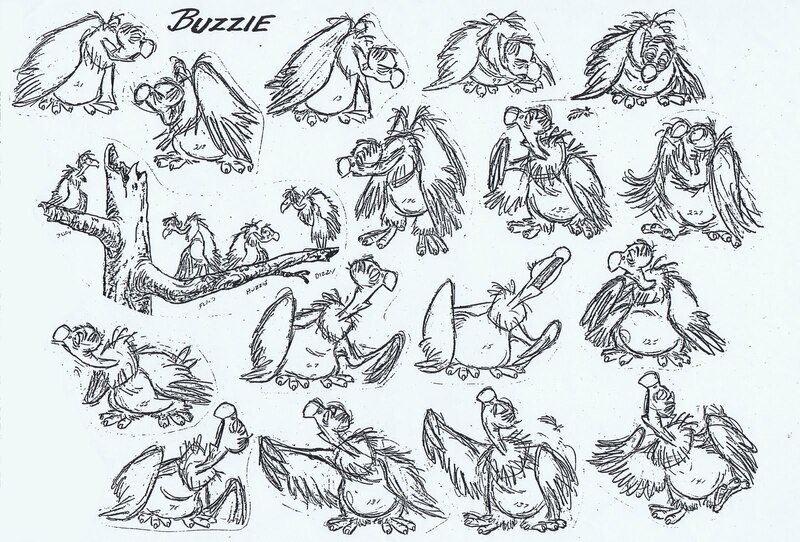 In Europe all these characters are now iconic and part of American/European folklore. 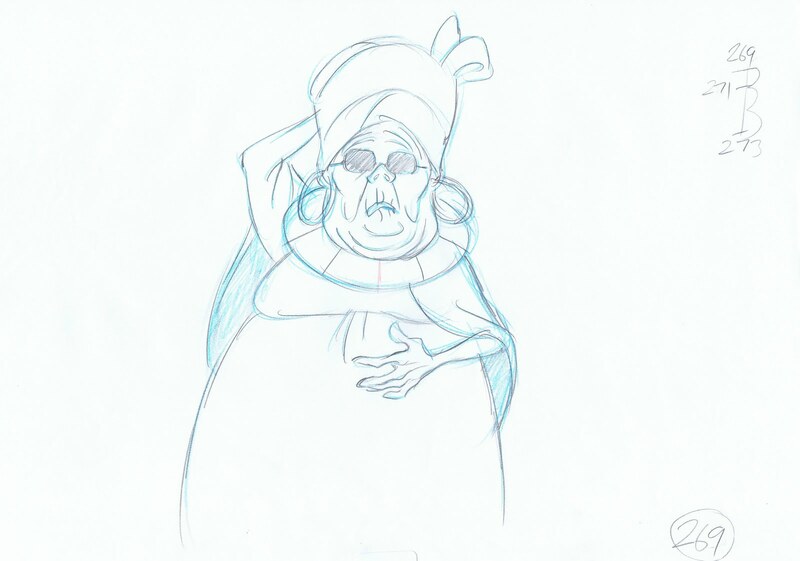 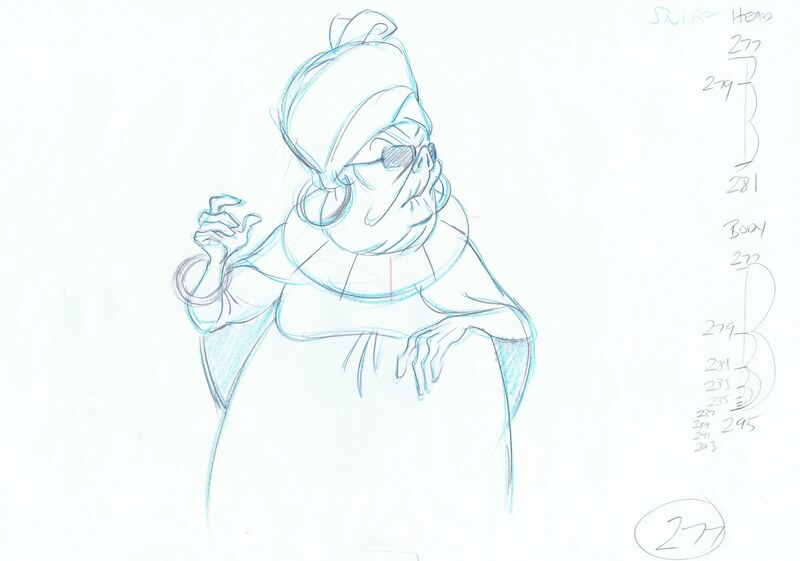 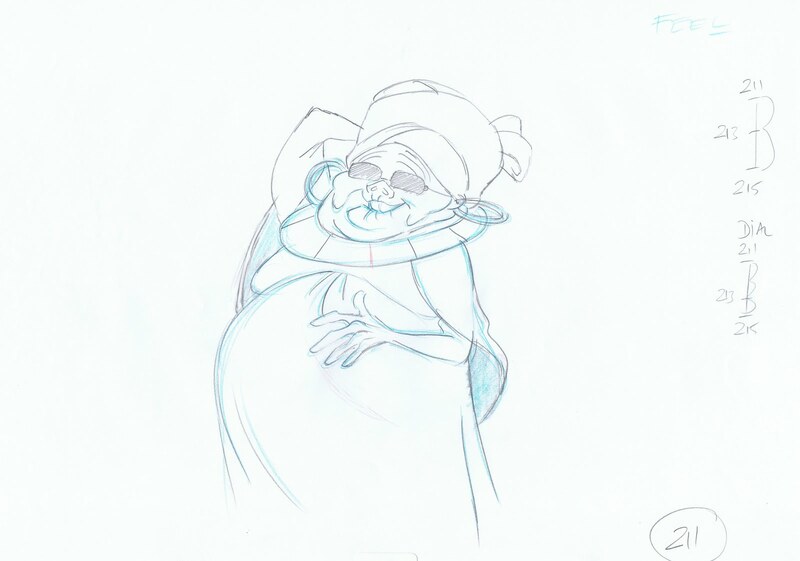 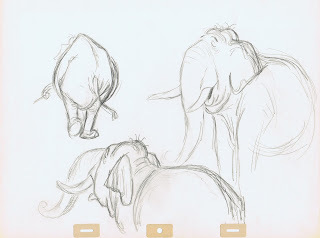 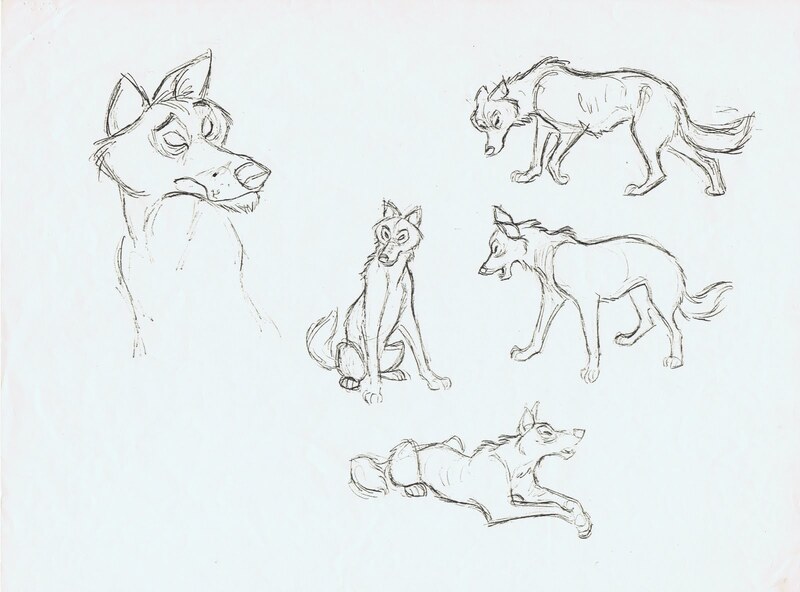 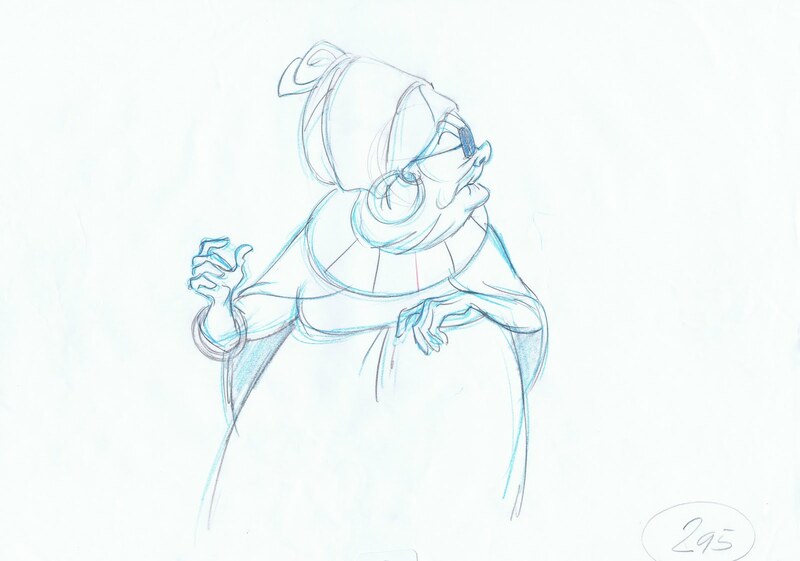 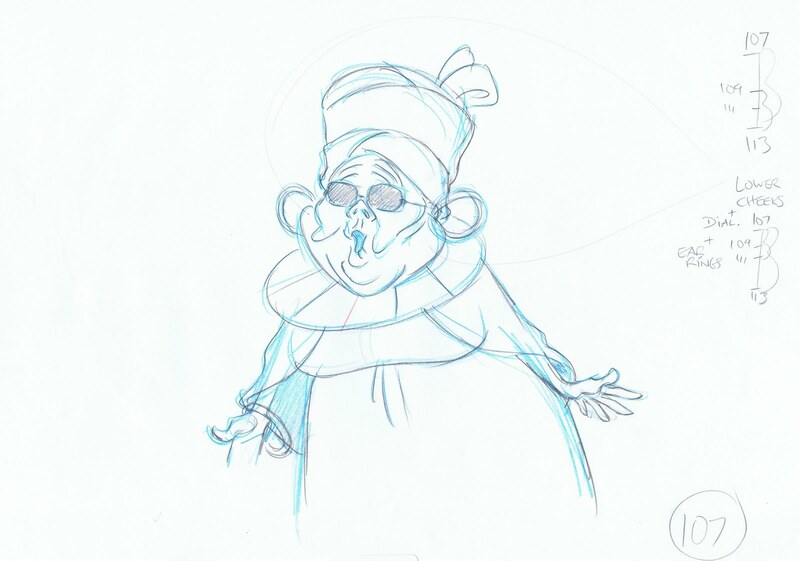 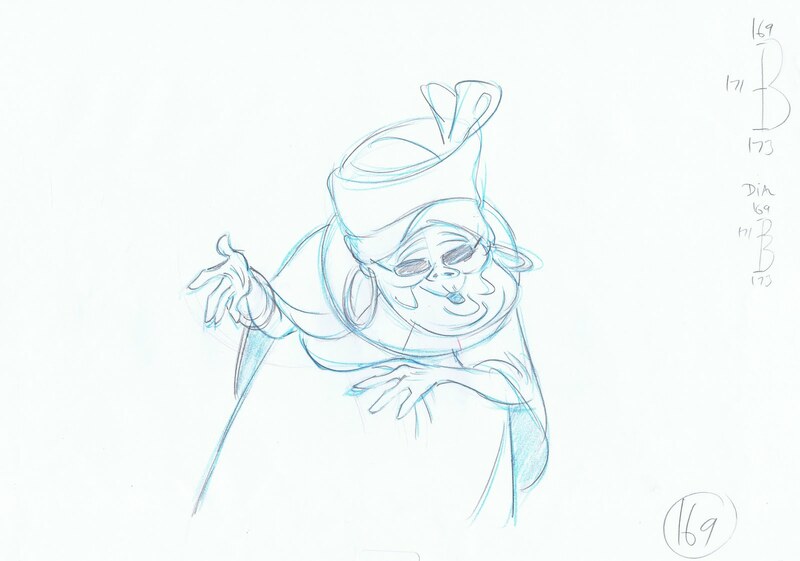 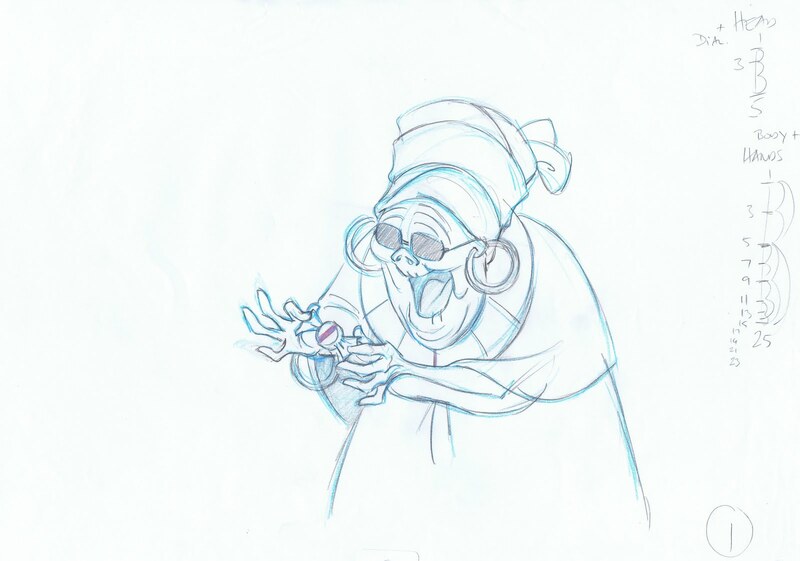 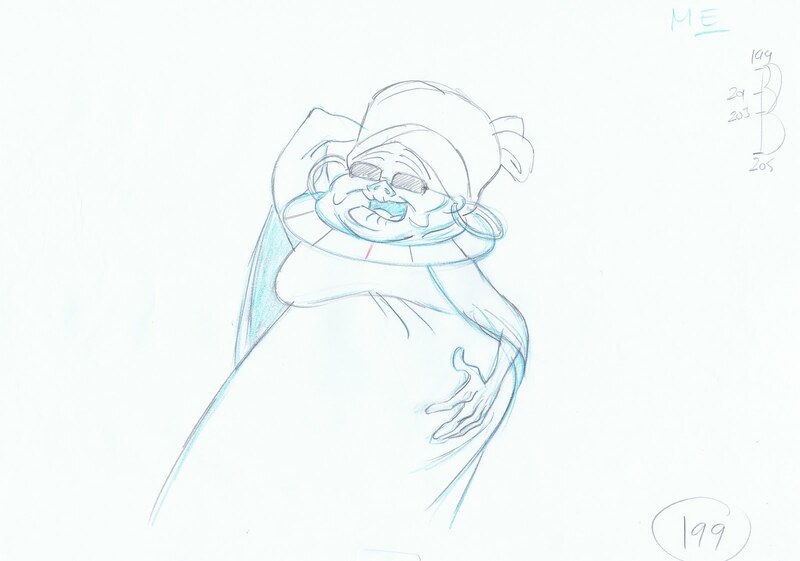 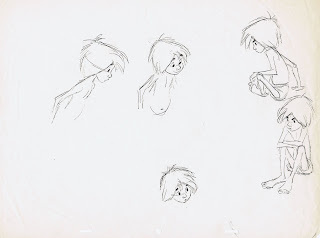 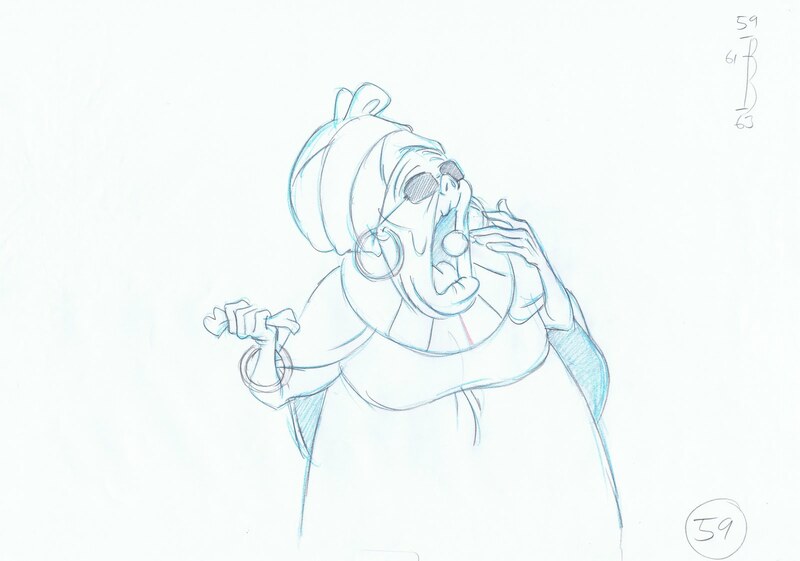 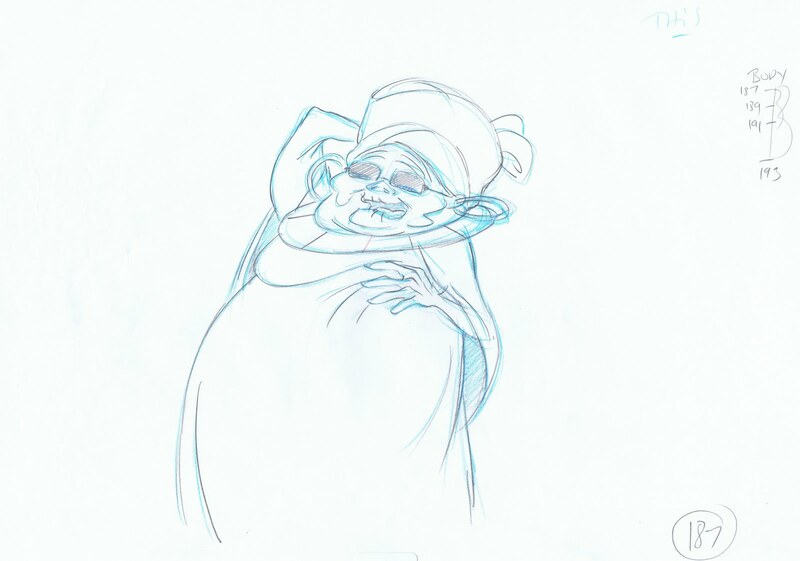 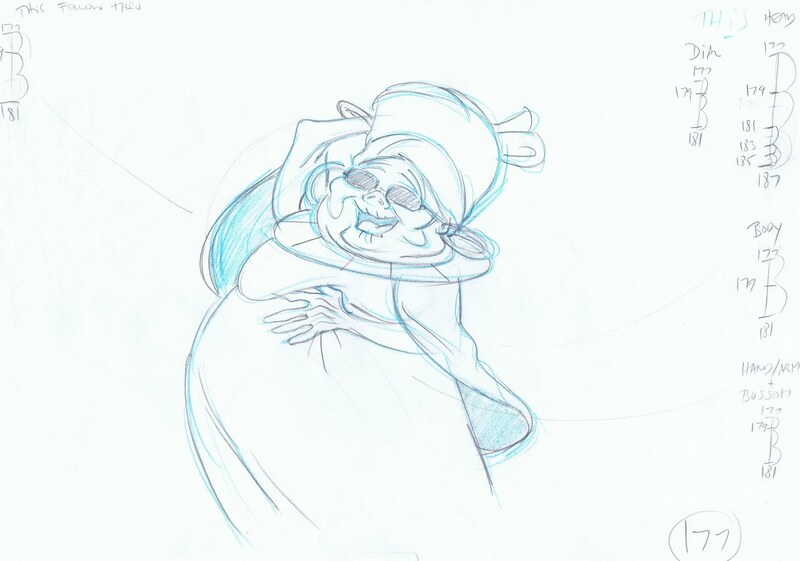 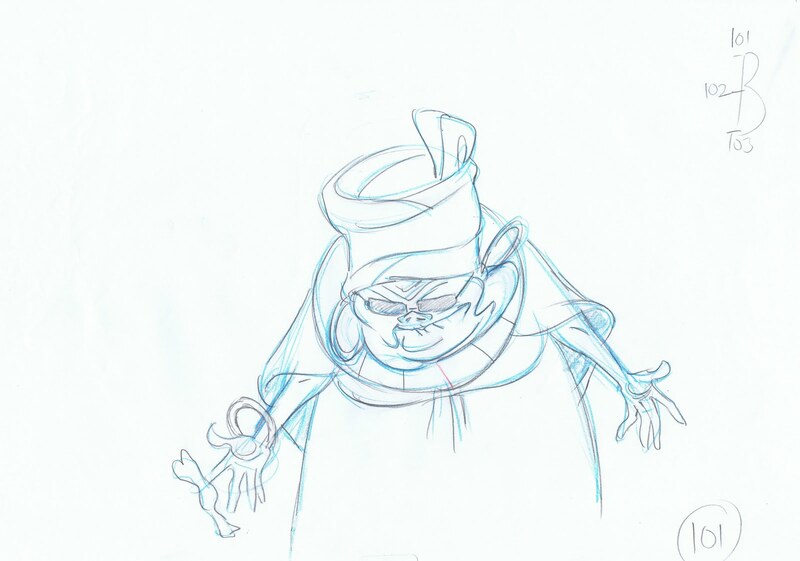 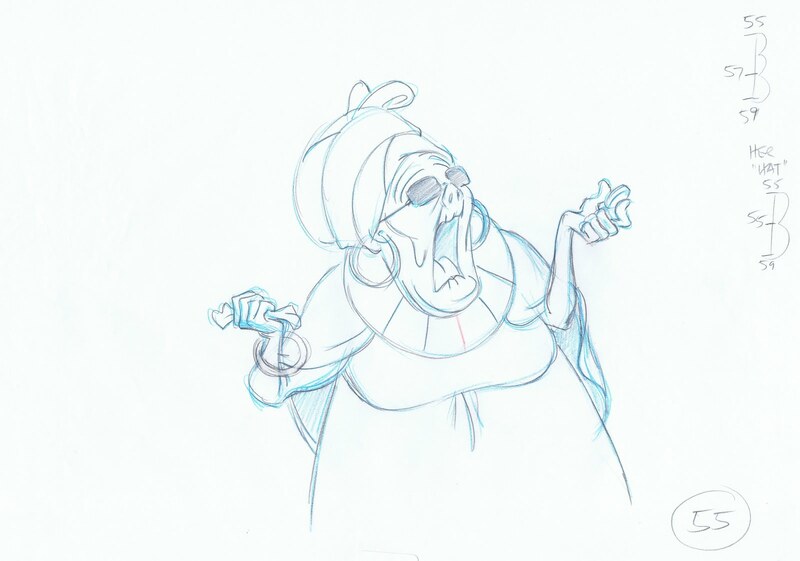 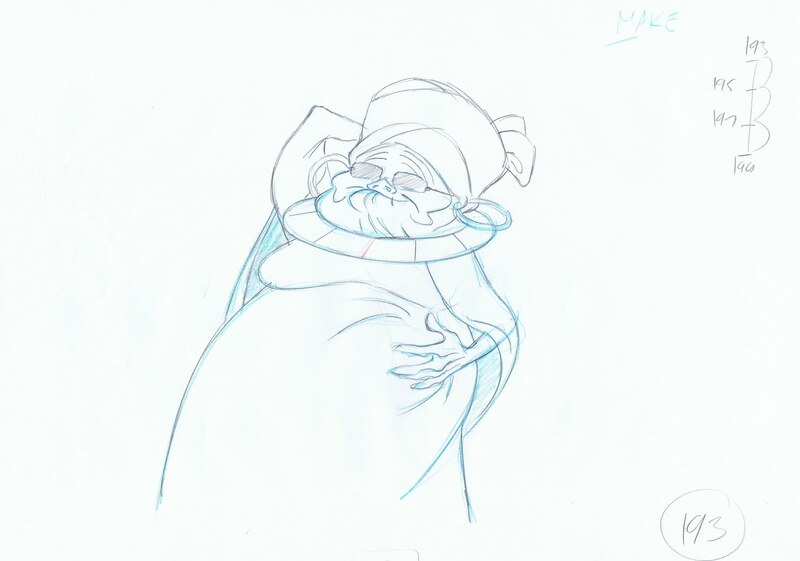 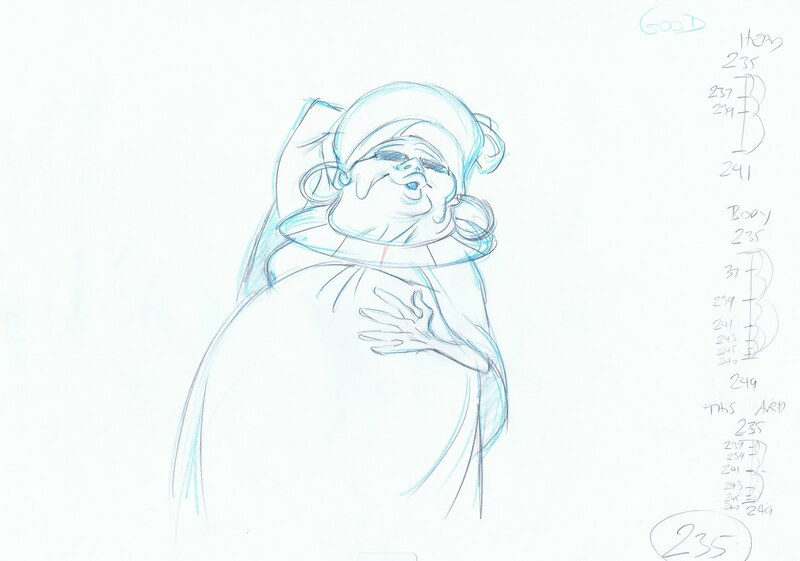 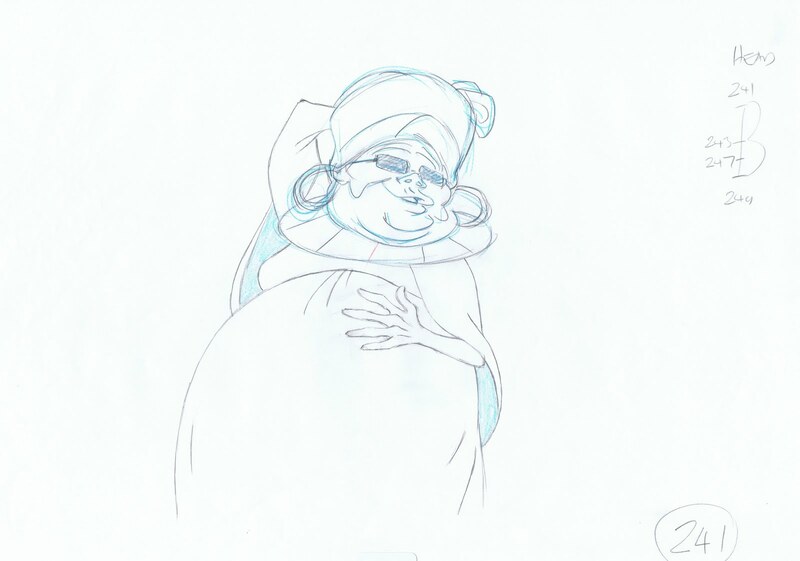 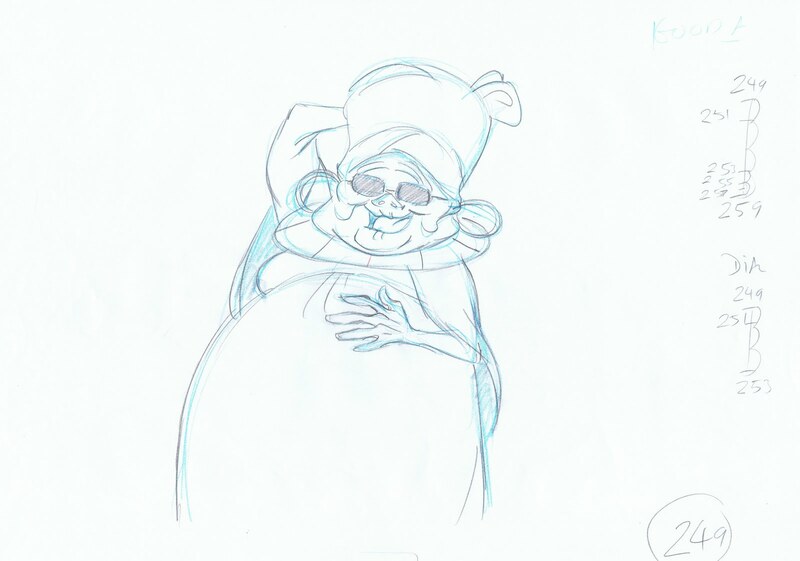 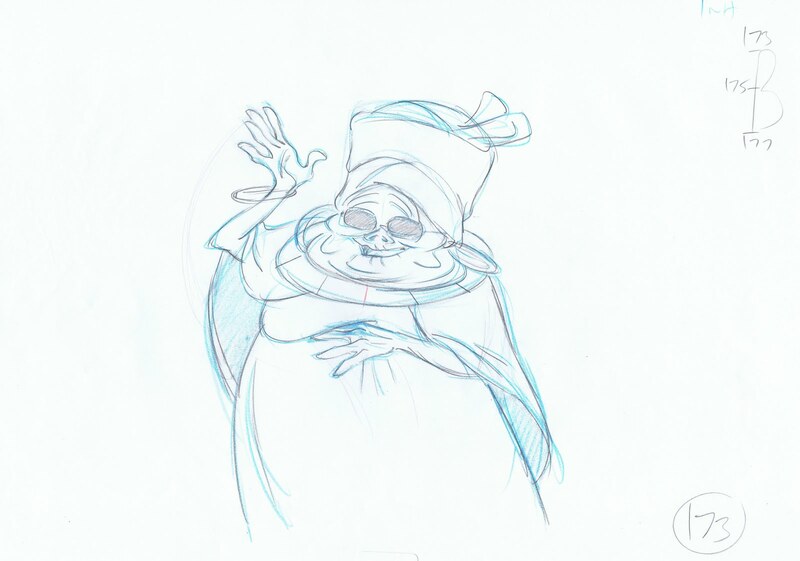 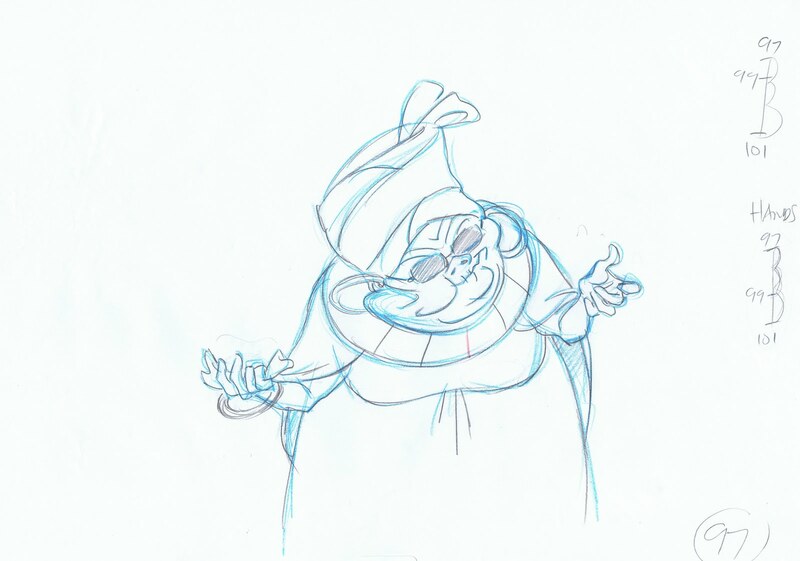 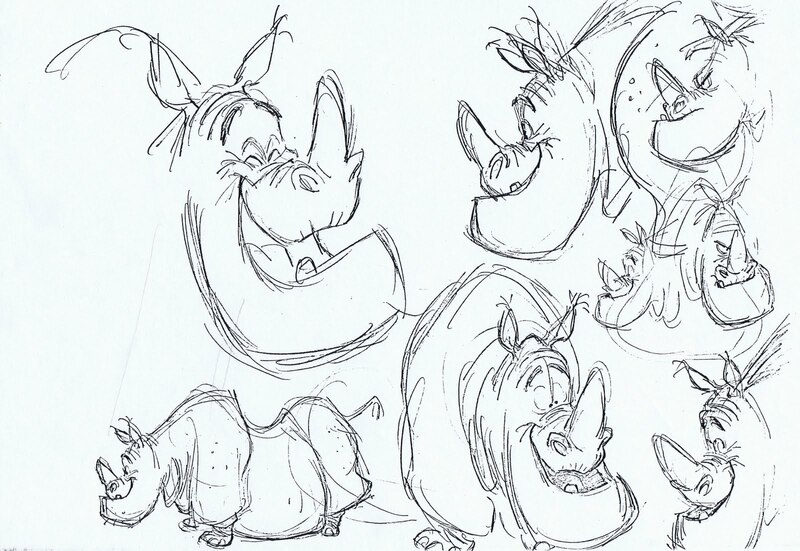 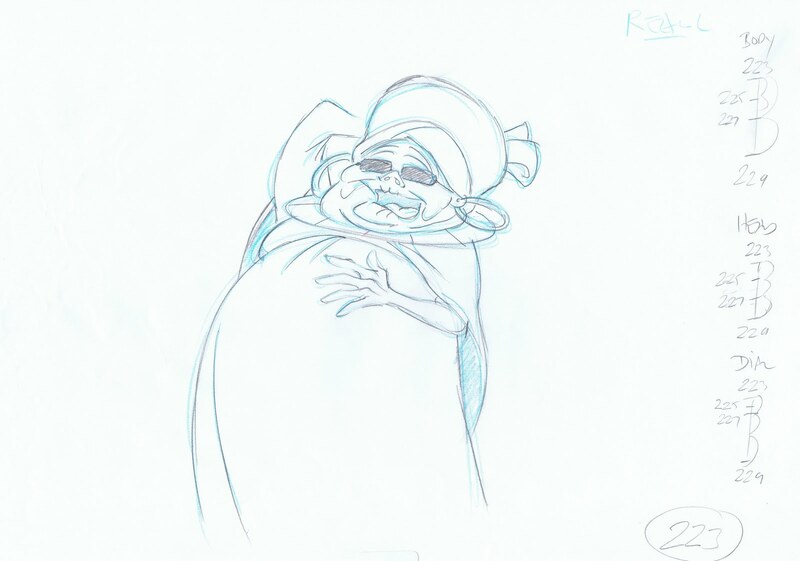 All these drawings are by Milt Kahl. 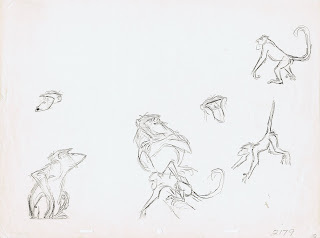 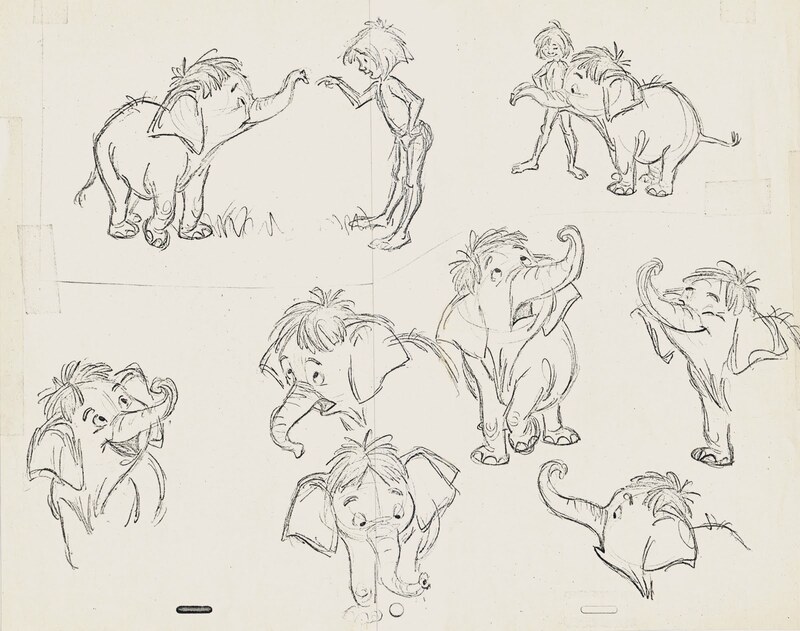 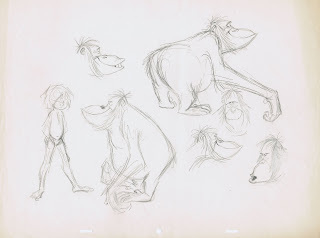 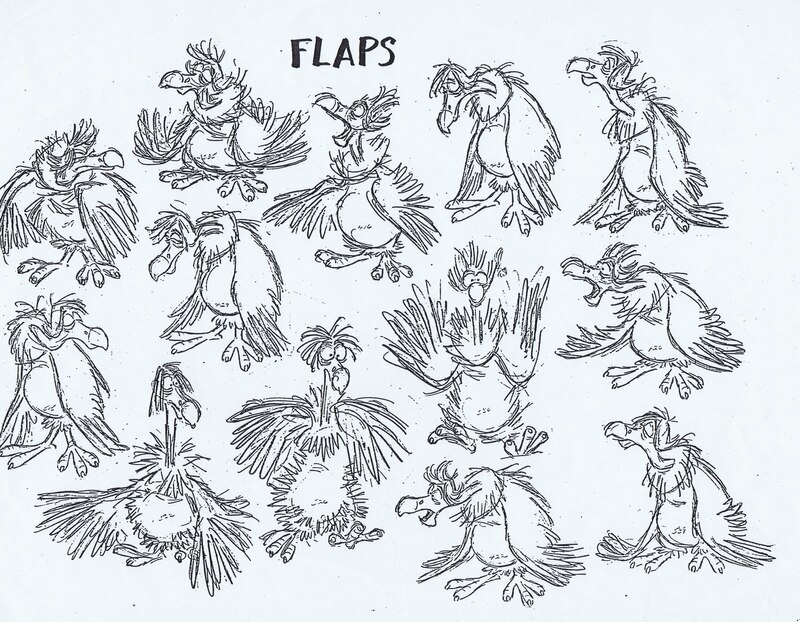 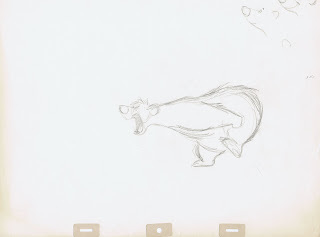 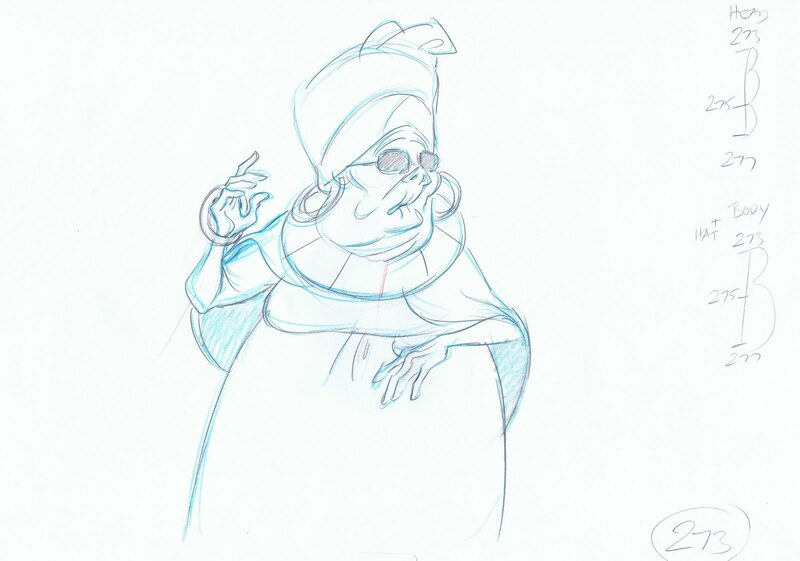 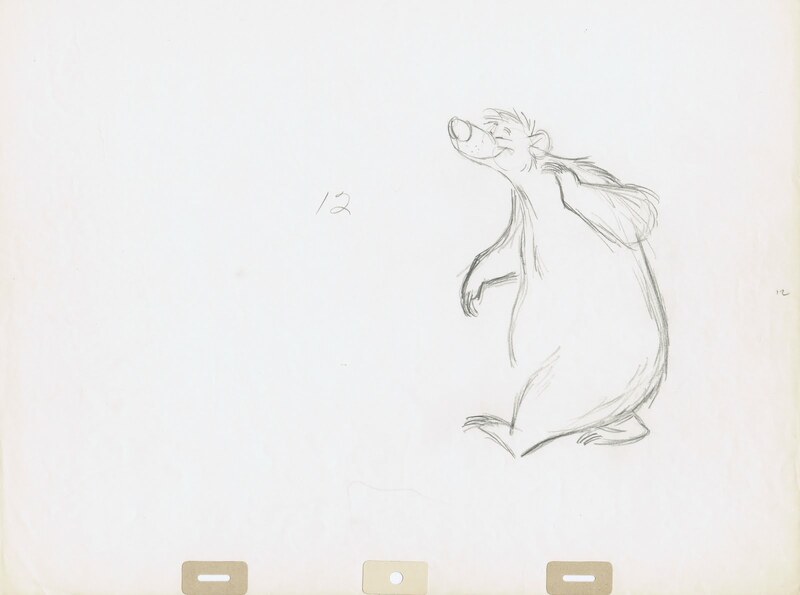 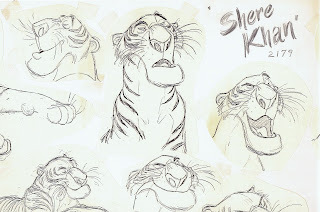 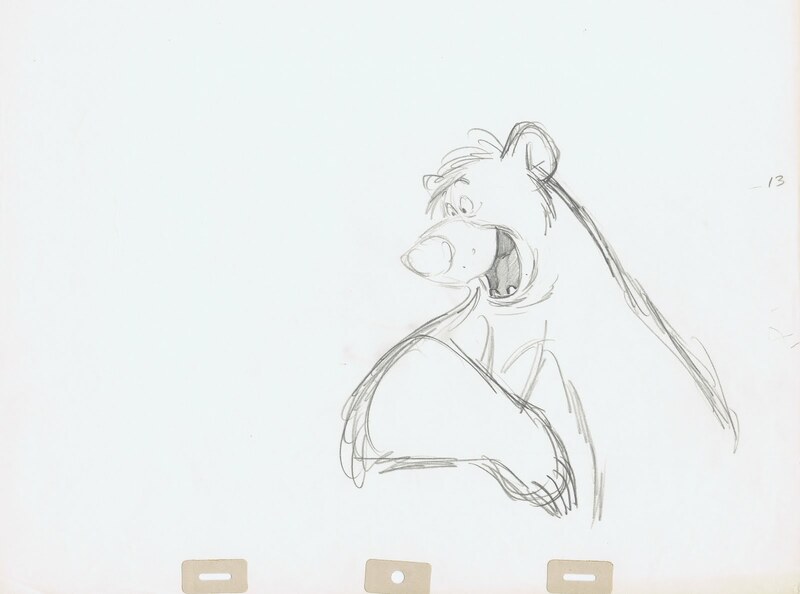 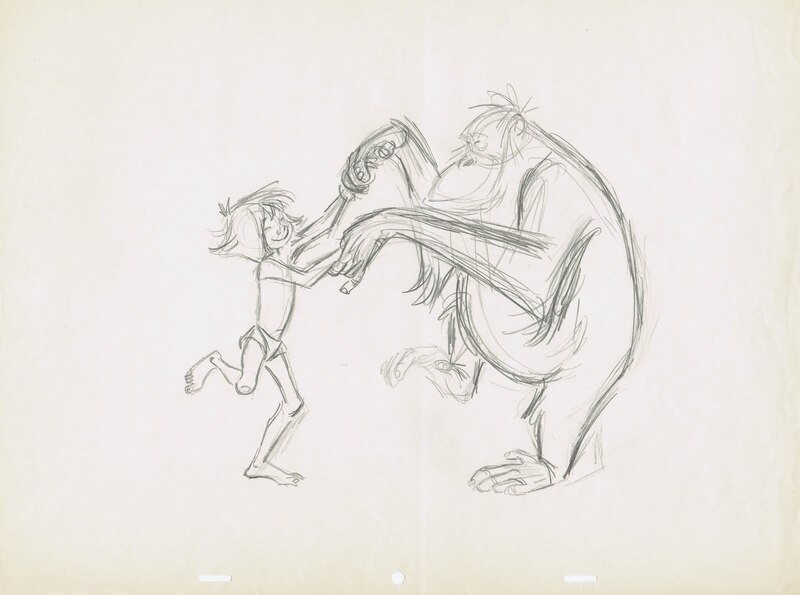 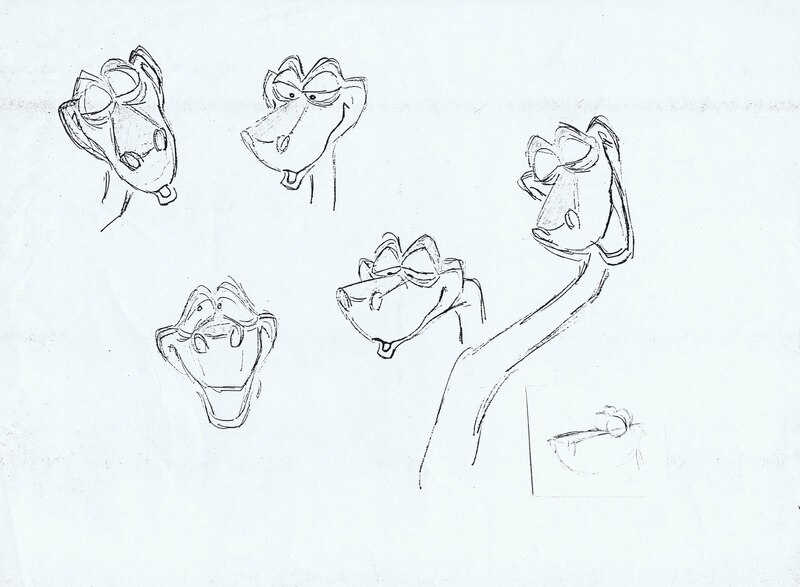 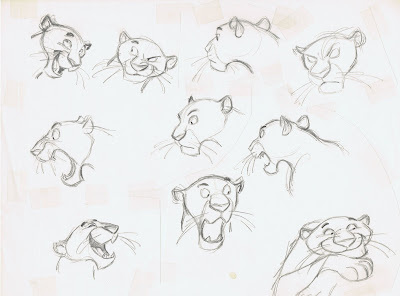 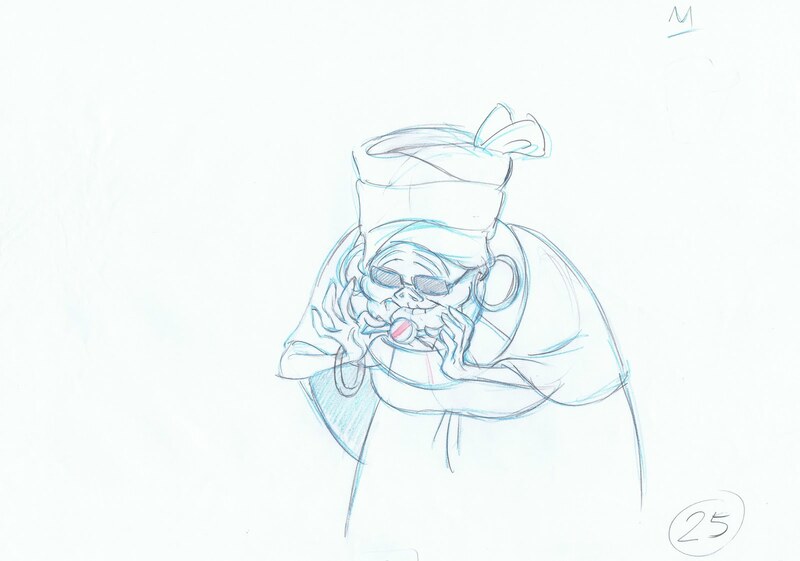 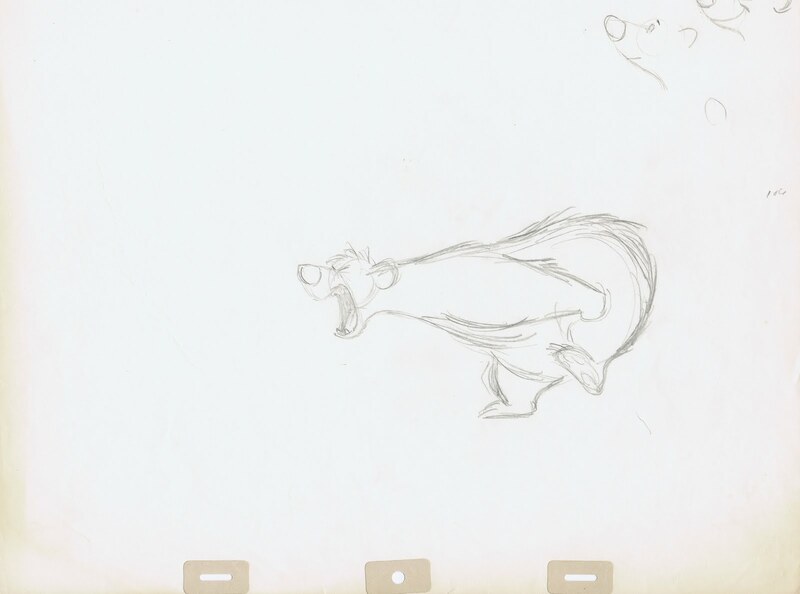 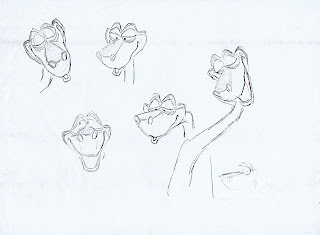 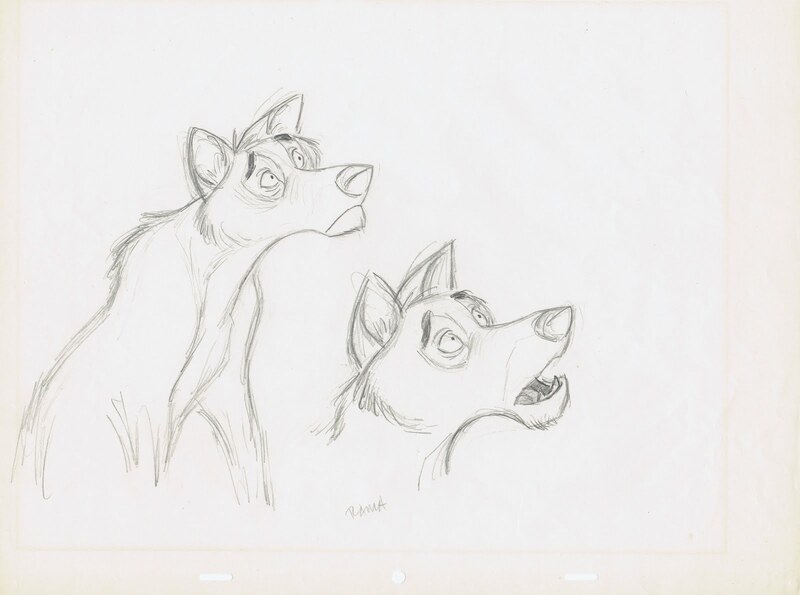 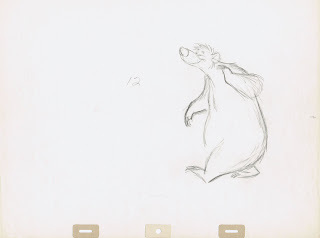 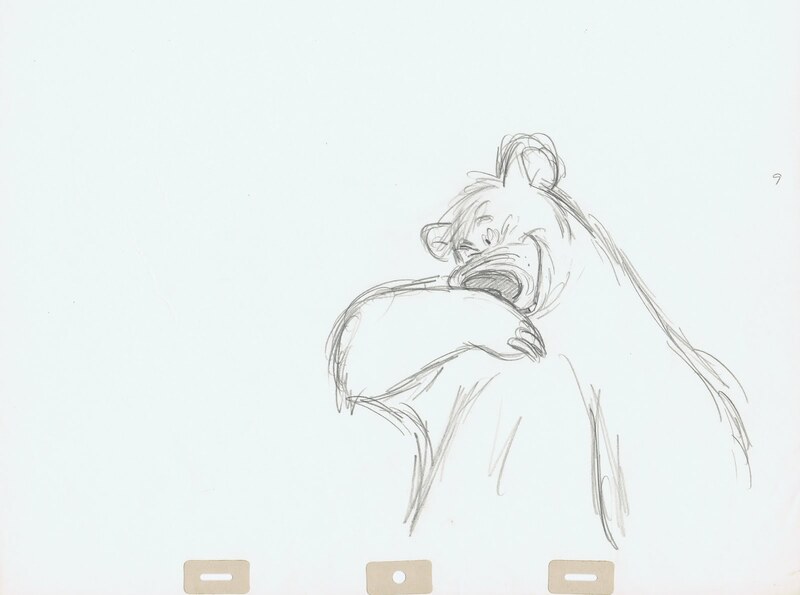 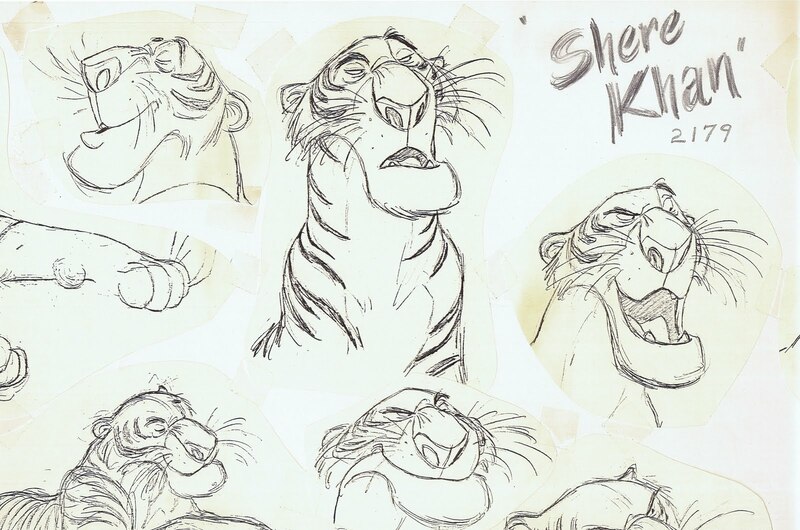 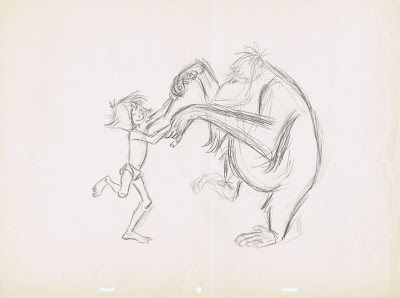 As so often he gave the final look to all the characters, based on sketches by Bill Peet and Ken Anderson. were done for scenes by Frank and Ollie. 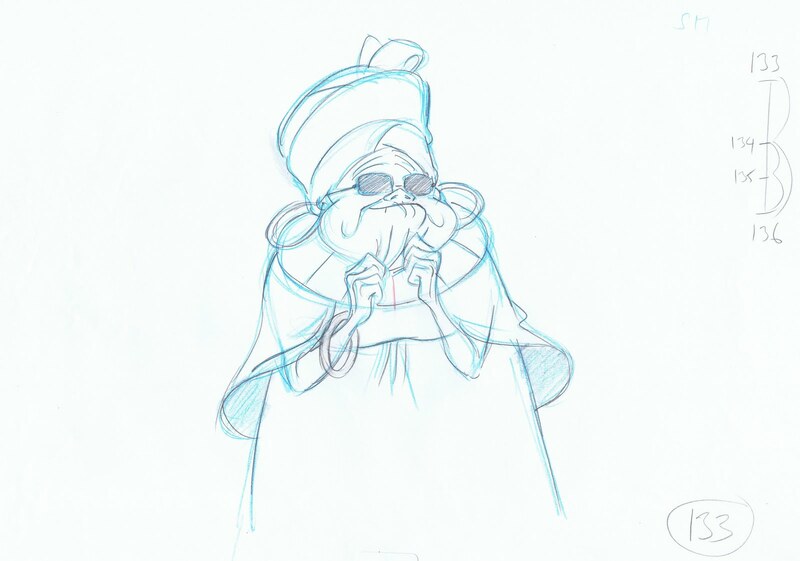 When you think of it, this movie had so much going against it. 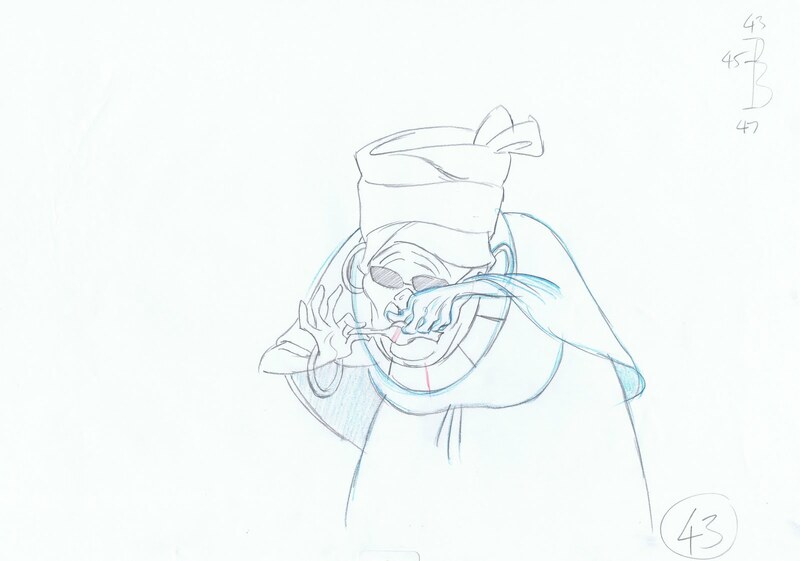 Walt died before it was finished, story genius Bill Peet quit early on, and so did Walt Peregoy, who had much to do with color and design on previous films like "101 Dalmatians" and "Sword in the Stone". 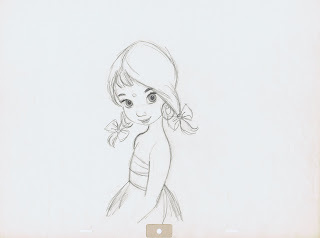 Yet somehow to many this became a very special film. 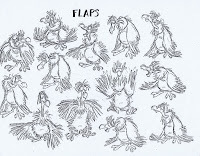 As Milt told me later : " At least the dam thing has a nice flow to it!"